When to Drain or Acid Wash a Swimming Pool or Spa? 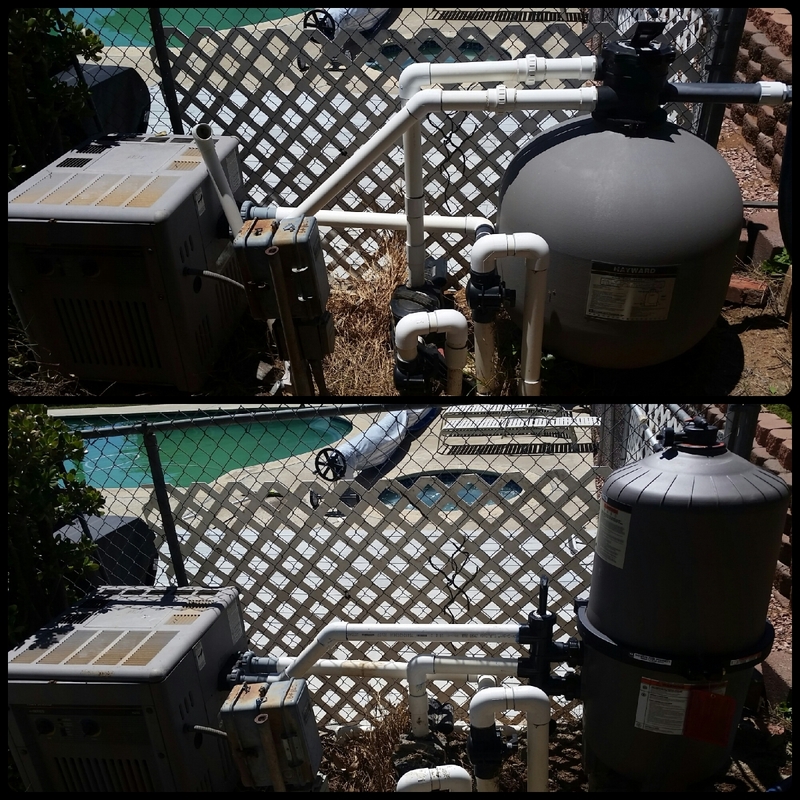 You may be thinking that your pool water doesn’t get old because it is constantly evaporating and getting splashed out. However, the majority of water lost is from evaporation and only pure H2O is lost leaving behind all the minerals and dissolved solids. Once the TDS(total dissolved solids) reach the maximum level between 2000-2500ppm there is no way to remove them chemically. The only option is to drain the pool and start over with fresh water. ‘Old’ pool water that is not changed will result in increased algae growth and hardness to the skin and eyes. The pool begins to be very difficult to maintain and requires a significantly higher amount of chlorine to keep algae free. Rule of Thumb: If the bottom of the pool isn’t visible then a drain is necessary. 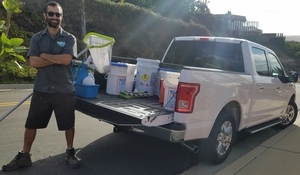 Green pools can be cleaned up with chemicals, filtering and labor but if the bottom is no longer visible the cost of chemicals and labor exceeds that of draining the pool. When to Acid Wash a Pool or Spa? Green Pool, Acid Wash or Chlorine Wash? If the pool has recently turned green then a chlorine wash should bleach out the algae growth. 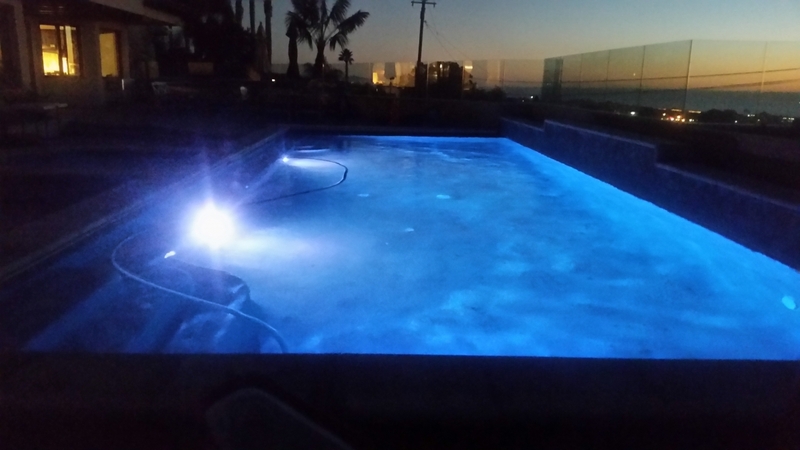 If the pool has been sitting for an extended period of time developing black algae growth deep into the plaster then an acid wash is necessary to get the stained algae off the walls. 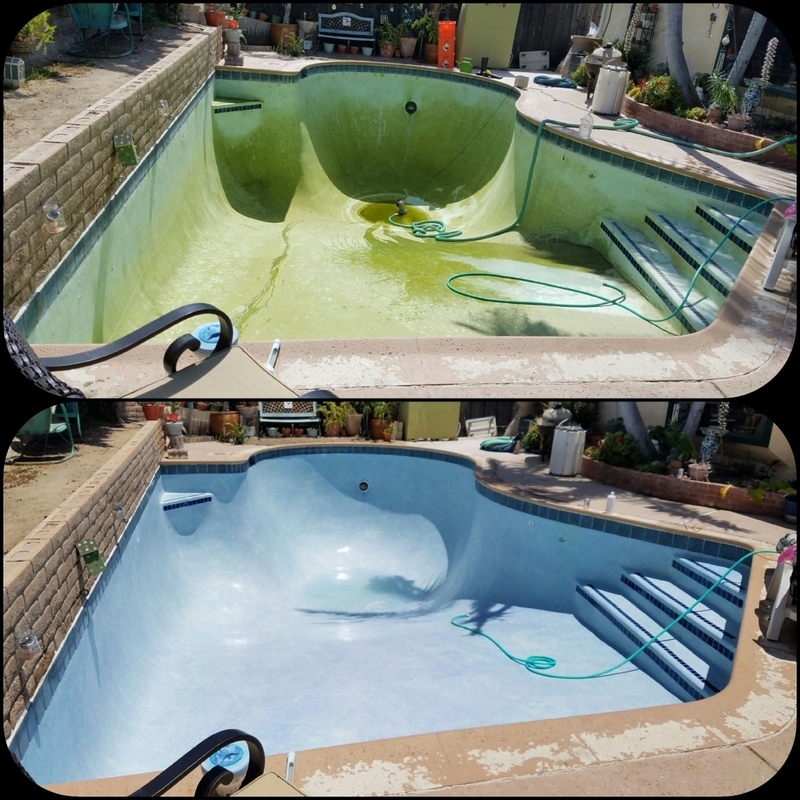 Over time a pools plaster gets discolored and stained as a result of mineral build up in the water. This process is accelerated when is pool maintained properly and consistently drained about every 5 years. An acid wash will take your old looking pool and make it look new again. It removes stains of various types of stains: dirt stains, iron stains, mineral stains, chlorine stains and calcium build up. What is involved when acid washing a swimming pool? An swimming pool acid washing begins with a complete drain and debris removal. Next we mix a 50/50 solution of water and muriatic acid and begin pouring down the walls in 10 foot sections starting at the top. Only leave the acid on the plaster for 30 seconds or less and use a brush to scrub the plaster. Pour each section two or more times until the plaster is the desired color and stains are removed. On heavily stained plaster a stronger solution of acid is required to renew the plaster. The average thickness of a pools plaster coat is 1/2 an inch. An acid wash only takes off a miniscule amount of it so an acid wash can be repeated multiple times over the life-time of the plaster. If your pool isn’t looking bright and inviting like it used to give us a call to schedule an acid wash today! 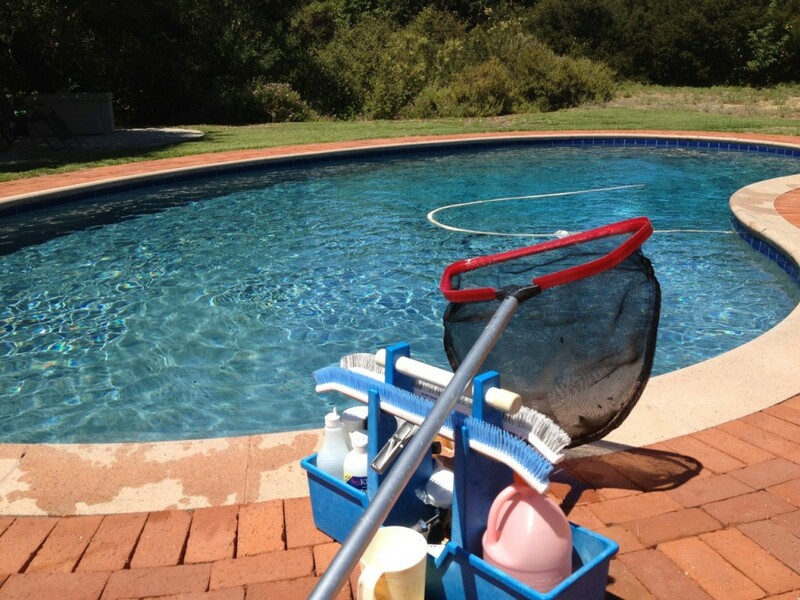 Give us a Call Today for a Free Estimate on your pool drain, pool acid wash or chlorine wash. 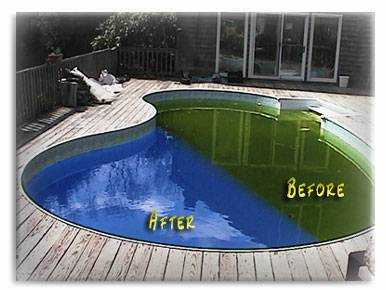 The transformation of your pool will be like night and day or green to clean!